It’s just a jape, don’t worry, nothing too serious. Let me explain. Last year The Flame and I beckoned friends across the border from Yorkshire to enjoy some Lancastrian hospitality. Yours truly tasked with organising the binge played his ace. 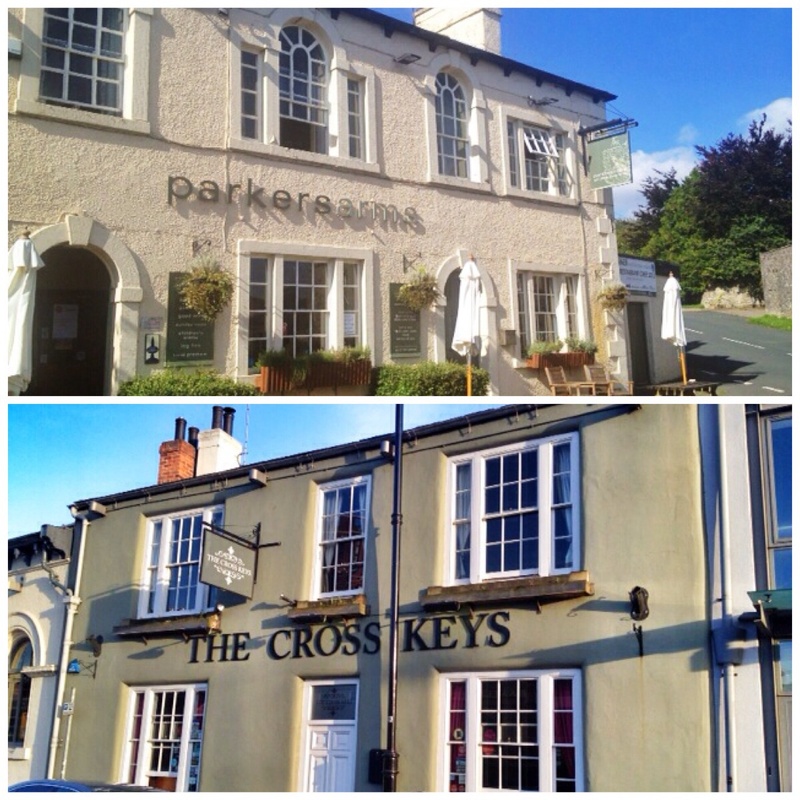 He tripped the team into the beautiful Trough of Bowland and set up a Sunday afternoon sesh in The Parkers Arms. Full details of the sumptuous scran are already available elsewhere on the blog. It was a triumphant scheme, Charlie The Greek and his lovely wife Julie were bowled over and considered it the best meal they had in years. Last week a return leg was organised. The Yorkshire troop were convinced that a repeat performance could be arranged. The Cooktwit decided to run a friendly competition, could Yorkshire overcome the lofty bar that had been set by Lancashire’s Bowland crew? The planned set up was to quaff and stuff on Saturday night at The Cross Keys in Leeds and then round off with a Sunday lunch at The Roebuck in Otley. First off it was into the up and coming trendy enclave of the Leeds granary wharf basin. Saturday night at The Cross Keys was Yorkshires first effort to lever the crown. Set in a run of terracing it has been spruced from the front with the obligatory tin of Farrow and Ball. And rather pleasant it looks too. It didn’t disappoint inside either. Trad gastro pub fittings downstairs with a swirling, rickety staircase up to the dining room above. A pint of Kirkstall ‘North Prototype’, a light, golden ale soon had The Cook Twit settled and raring for his Yorkshire feed. I opened at The Keys with pan fried squid, black pudding, beef dripping croutons with a lemon emulsion! Whilst the flame chipped in with a glorious deep fried hens egg on fresh asparagus. I wasn’t sure about the croutons as they had a strong taste of the oil. The hens egg worked well, it spurned its yolk over the greens right on cue. In comparison at The Parkers we recalled a sublime crab parfait and a three cheese soufflé, both crafted and presented with aplomb. For the main event I’ve had to bring a selection of the best from Yorkshire to compete with Lancashire. According to our Canadian waitress Jen, The Crosskeys menu changes almost daily depending on what has been acquired from the area. A laudable aim I’m sure you’ll agree. However, out of eight dishes, three were pig based, two were veggie, which left us a little short on variety. I had the hanger steak on Saturday night, a cut I’ve only read about before. It came rare and covered with two bone marrow butter discs. The butter was used in small doses to add further flavour and moisture to what was a decent steak. For Sunday lunch The Roebuck pub in Otley served up a minted, mutton pie which I’d have to say was pushing hard against the Great Northern Pie Co efforts that I occasionally imbibe as a treat. It came with a lovely gravy to set it off. Given the rabbit pie that I originally ordered had run out it was a cracking back up. The waitress pointed out that they had the rabbits but had not turned them into pies yet! Sadly for Yorkshire all this had to stack up against Stosie’s boned pheasant done two ways, the leg in a pasty the breast rolled in a ballotine. A good effort from Yorkshire but…. Despite being absolutely rammed The Cook Twit (purely for research purposes) stepped up to the plate and devoured a desert on Saturday night and Sunday lunch. 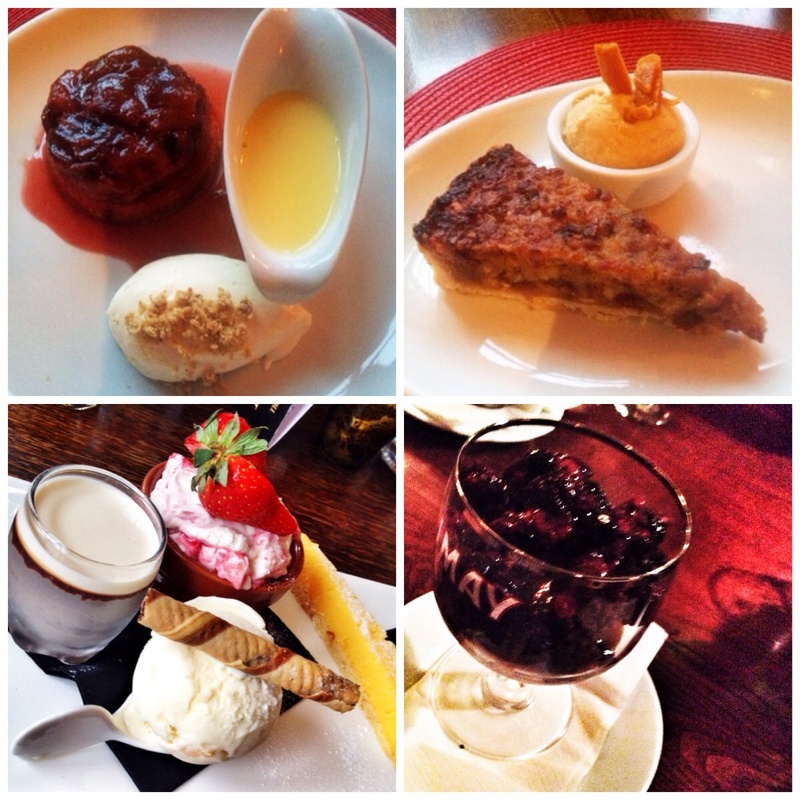 The Cross Keys put up a strange but nonetheless tasty offering of sticky toffee berry fool. Essentially a glass bowl of sticky toffee pudding swimming in a berry compote with berries on top. It was too much really. Could have been a smaller portion with some ice cream. The Roebuck presented some real quality. Labelled as ‘coffee sweet treats’ it turned out to be a coffee with a selection of four of the deserts. An Eton mess, sliver of lemon tart, chocolate Ganesh and a sensational local banana ice cream. I managed to take down the lemon and the ice cream but got stawed with the rest. The Parkers tipped up with a Victorian plum sponge, and it’s famous wet Nellie. Two stonking deserts. It’s a close call but I think Lancashire seals it again. The Roebucks offer nearly taking it. Service and surroundings both hit the rustic mark. Open fires at The Parkers, whilst tudor beams support The Cross Keys. All three pubs offered quality real ale. 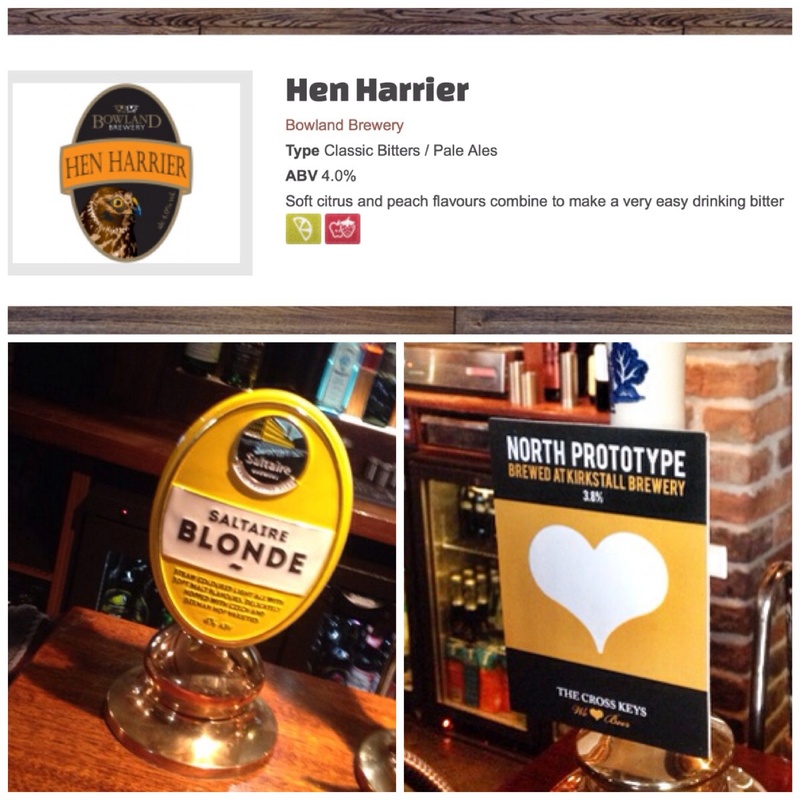 As you would expect The Parkers Arms opened its account with a Bowland effort called Hen Harrier. A lovely golden ale, but I’d have to say the Yorkshire twins offered the Kirkstall brew and then one called ‘Saltaire’. Both were absolutely superb, light session ales that I could have quaffed all day. Yorkshire steals the ale comp. So there you have it Lancsahire 33/40, Yorkshire 31/40 a splendid effort. A word to The Cross Keys and The Roebuck it’s no disgrace finishing behind The Parkers Arms. 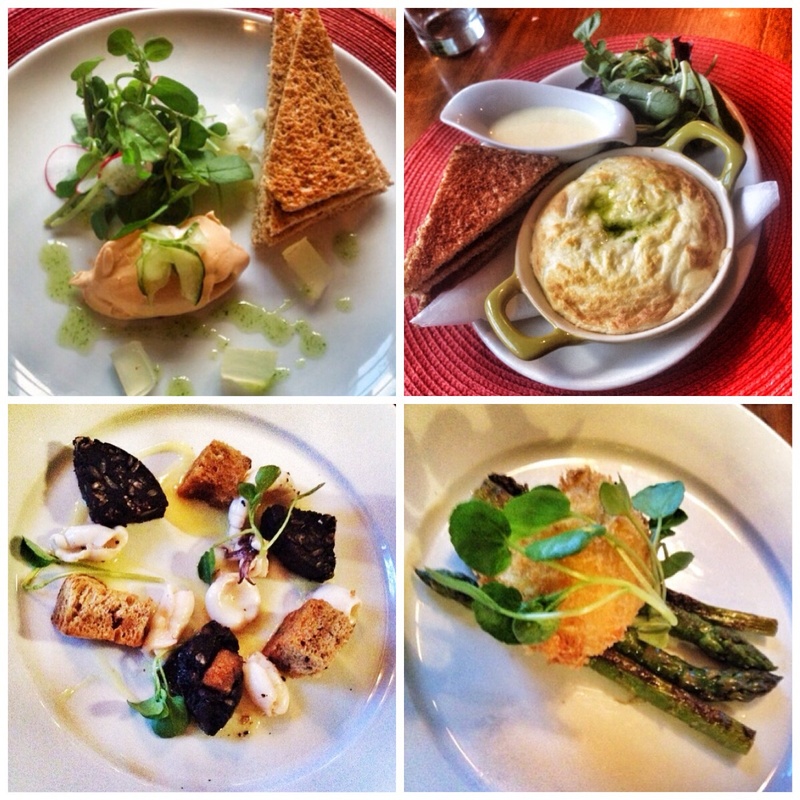 There’s an experienced team there serving amazing food. 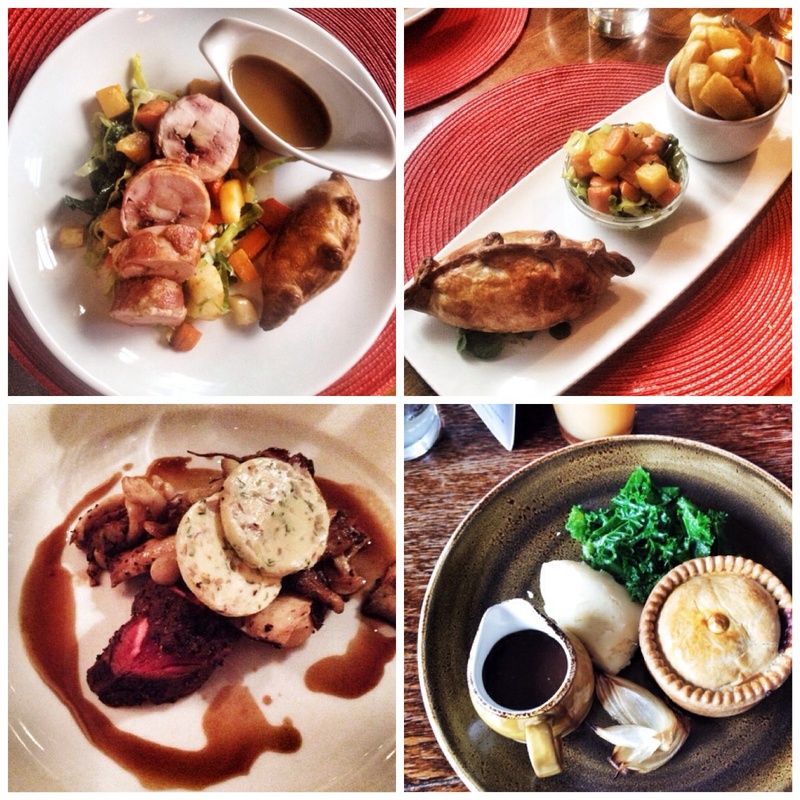 We had a great time in Leeds and we certainly ate and drank well. We would definately go back to both places. They are both on our radar. I notice today there is chicken on the menu at The Cross Keys. The Flame would have been a little happier.